Last weekend, our SWIFT video saw it’s thousandth view. That’s not a lot in YouTube terms, but as a dissemination method for an academic project like SWIFT, it’s really quite impressive. Compare this to a conference presentation: a thousand people in the audience is virtually unheard of. A paper in a high-impact journal is good, but like a presentation only reaches an academic audience in that area. Nowadays, funders want a lot more interest generating for their money. It may be time to rethink ideas about project dissemination. 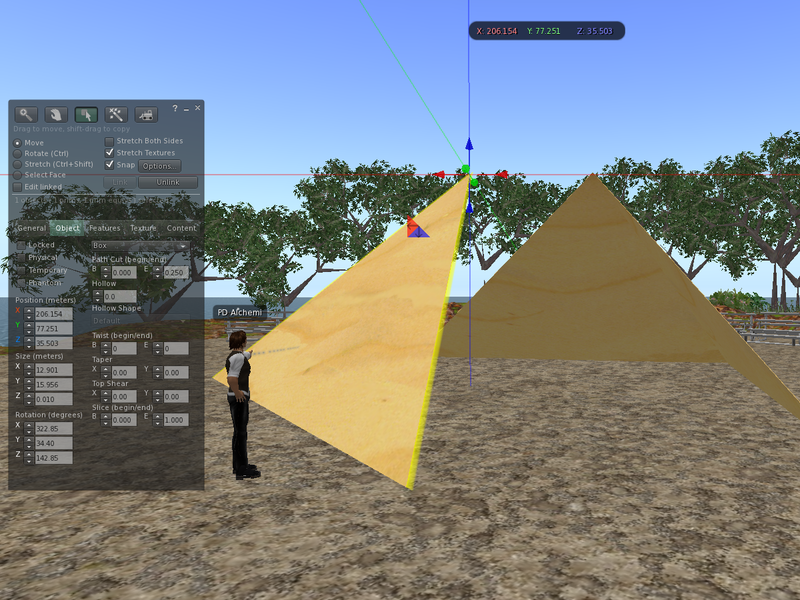 There are now numerous technological ways to raise awareness of an academic project. They all have their place. 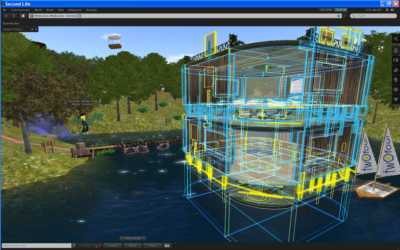 In my opinion, a website is a good “shop window” that people can be referred to as a “clearing house” for project information. A blog is about engaging people in dialogue within the project’s area, and needs to be used in conjunction with replying to other people’s blogs in the area. Twitter is good for generating interest in current activities – what’s going on NOW – or for sharing a kind of “stream of consciousness” about the project and its area. Facebook is good for creating and maintaining working relationships between individuals in an area. And video seems to be good for engaging people in the concept of a project, generating interest and getting people talking. 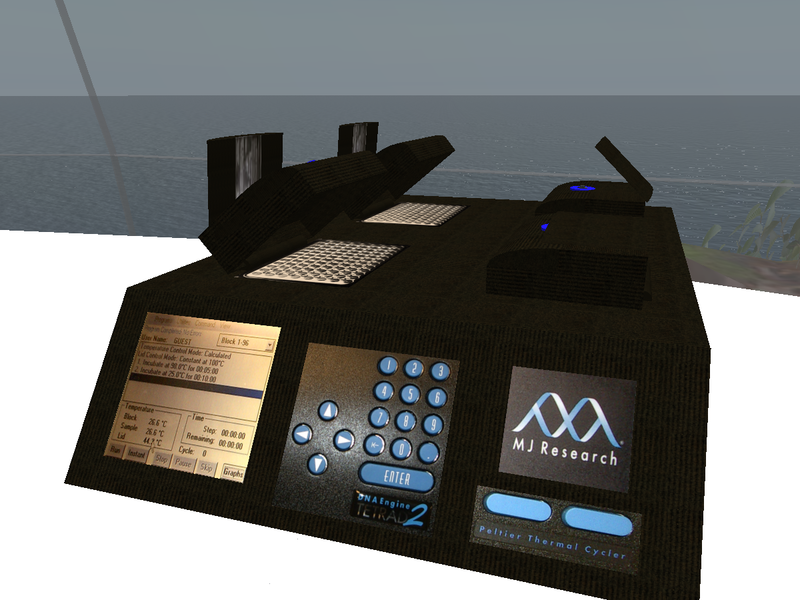 Thus, for the first SWIFT experiment, we incorporated a significant amount of avatar personalisation into the Second Life training part of the experiment. 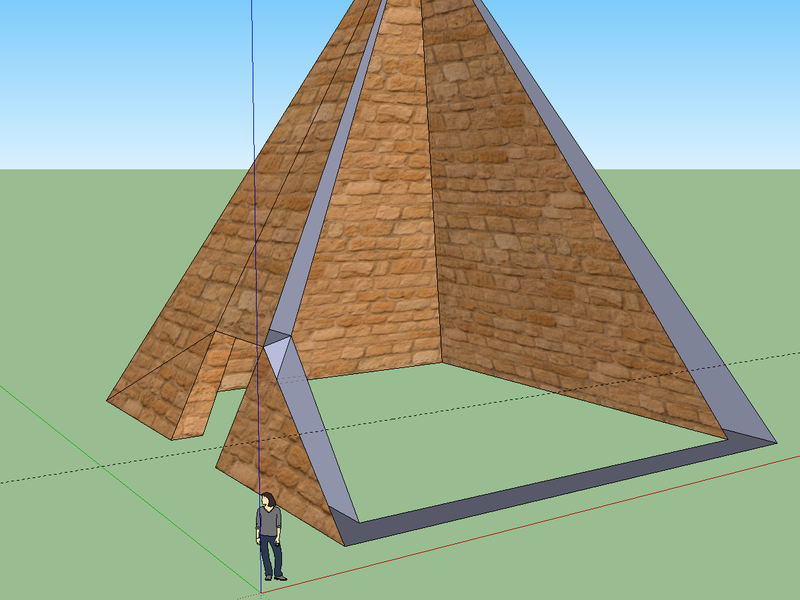 For the second experiment, we did less of this, mainly because it was just too time-consuming for the students to spend a whole hour on learning to use a piece of software that they may only use once. And an interesting thing happened. 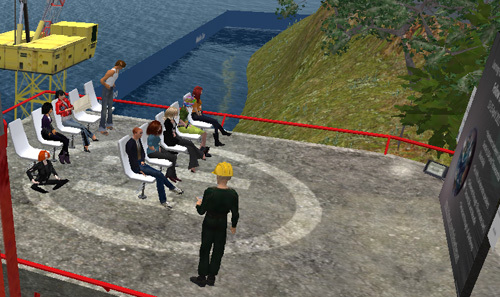 When I interviewed the students afterwards, it seems that the avatar wasn’t particularly relevant to their experience. In fact, one person would have been happy to not see the avatar at all. So why the difference? I’m thinking that it’s because the need for purpose is being satisfied in a different way. 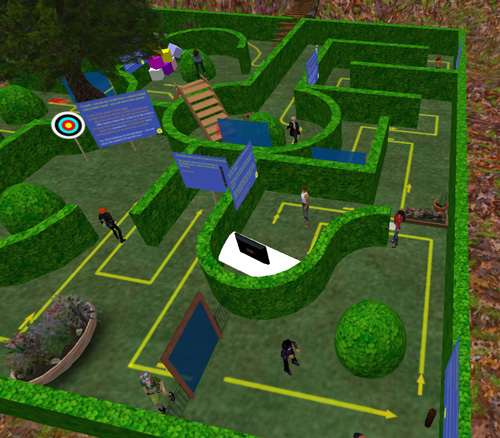 For “recreational” use, Second Life is, on the face of it, quite poor; one “arrives” somewhere in-world, and, well, that’s about it! It’s not a “game” – there’s nothing to “do” – so unless you meet someone interesting it seems a very lonely place. For our experiment though, there is something specific to do. 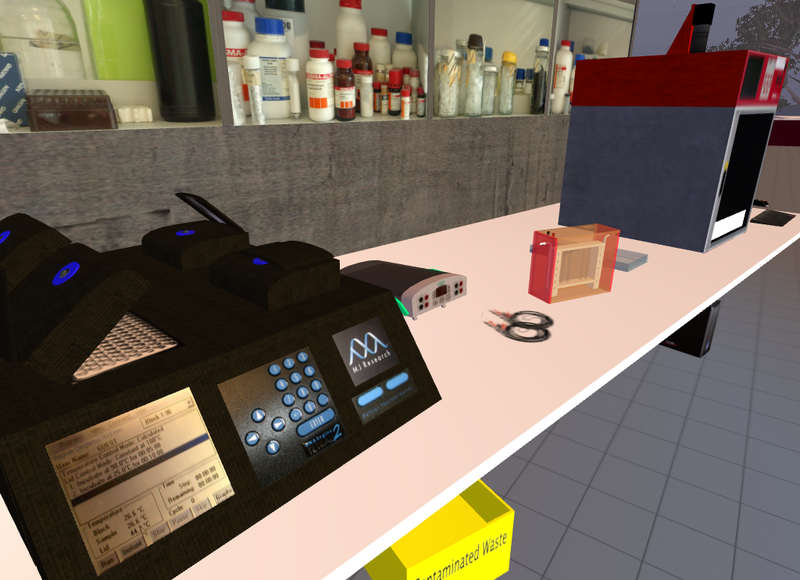 We have a virtual genetics lab, and one can perform “simulated” experiments. that is the purpose, in fact, almost, the “game play”. Which brings us to the question of identification with the avatar. 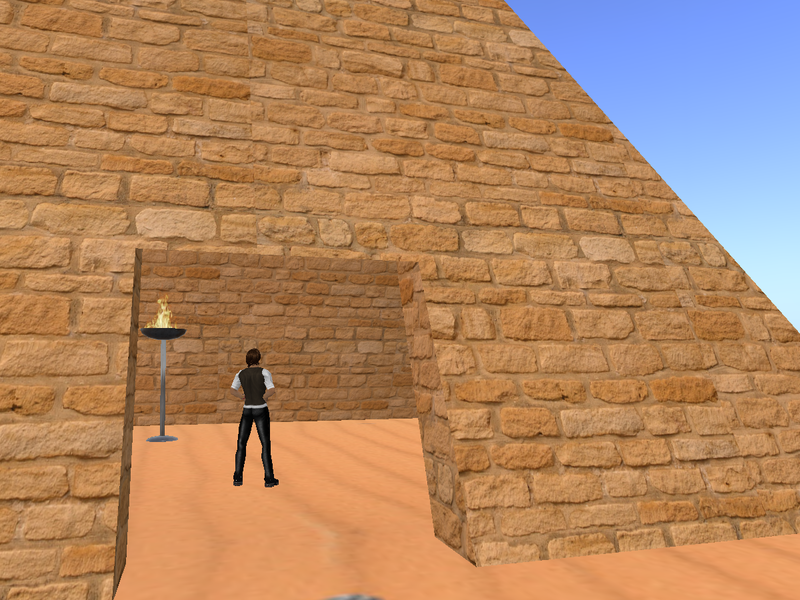 If one is in Second Life with a definite purpose, and it’s neither necessary nor useful to socialise, the avatar doesn’t really have a role. It just, as one participant said, keeps standing in the way of something you’re trying to look at. If this is the case, then it’s really good news for SWIFT. 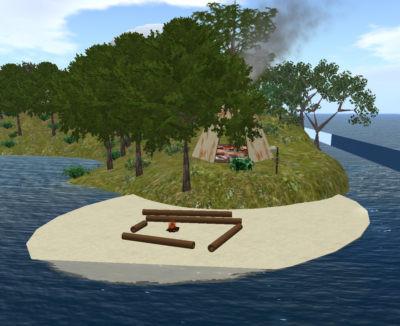 If the avatar proves to be unimportant for the learning situation we are creating, then we could reduce the training time significantly. We’ll be reporting on this in our next paper. . . The Higher Education Academy’s annual conference was a great opportunity to meet other academics engaged in improving the teaching and learning going on in UK universities. I attended some really interesting presentations, one of which made me think about the nature of “progress”, and how we need to consider the down- as well as the up-sides of new technologies. It was a presentation on catering for diversity in abilities, in particular about generating and delivering content in forms usable by everyone – so no fancy fonts, text as images, oddly coloured text, that sort of thing. A questioner asked about possible pitfalls in assuming that one particular type of content was automatically more accessible than another. He cited the dropping of curbs to allow wheelchair users to cross the road more easily. Apparently, this causes problems for visually impaired people, since the curb was a useful marker for the boundary between road and pavement; what’s more, guide dogs are trained to stop at the curb – no curb is confusing. At the same time, I noticed the chap next to me sporting a shiny new iPad. Every now and then, he would pick it up, start an app, use it for a couple of minutes, go back to the “home” screen, and put the iPad back on the table. Simple enough so far, but the odd thing was, whenever he put it down, he would turn it over, so the screen faced the table. Being a psychologist at heart, I started wondering about the cause of this behaviour. My conclusion was that he was used to closing a laptop when he finished with it, and placing the iPad face down was the nearest equivalent. Of course, this doesn’t save power, like closing a laptop, and the home page is hardly confidential data, but somehow he felt the need to turn the iPad over in order for it to support his perceived needs. I’m sure Apple considered (and rejected, for good reason) a big power button on the front, but probably didn’t anticipate users continually turning the device over. These examples emphasise the need for careful testing of new technologies with genuine users in real situations before promoting new technologies to the world. 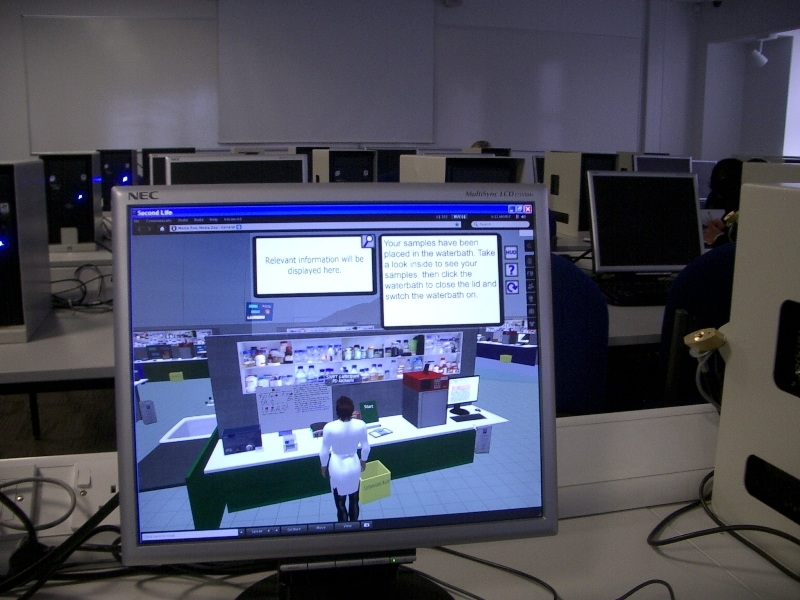 The HEA-funded SWIFT project for example, for which Beyond Distance is organising the research, is a major three year project to investigate the use of virtual worlds in the learning and teaching of practical laboratory skills. 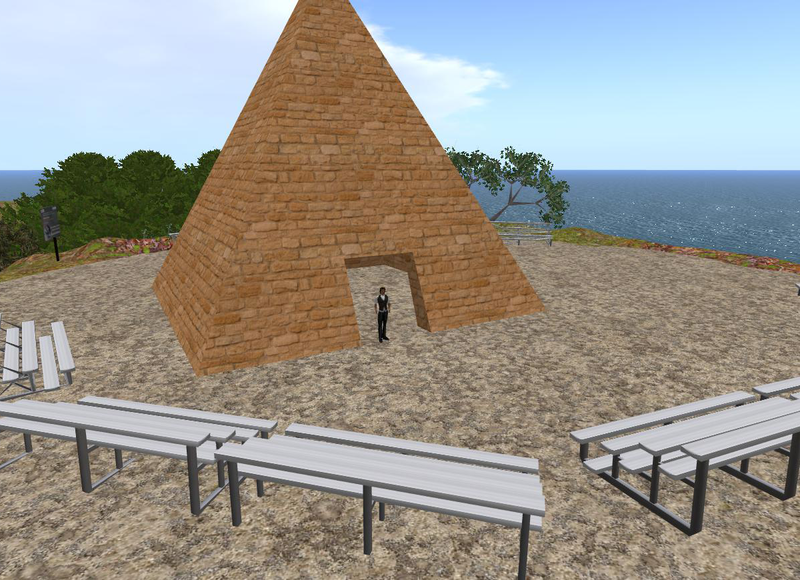 We are getting a good idea of what virtual worlds do well, but we need to find the hidden drawbacks before we can confidently promote virtual worlds as effective educational tools. We need to consider the equivalent of white lines on dropped curb edges and big power buttons on the iPad. Only then can we be sure that the advantages outweigh the drawbacks.